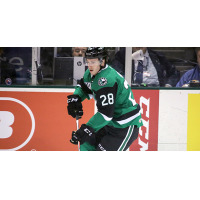 CEDAR PARK, Texas - The Texas Stars, American Hockey League affiliate of the NHL's Dallas Stars, announced today that forward Spencer Naas has been recalled from the club's ECHL affiliate, the Idaho Steelheads. Naas, 23, has played in six AHL games in addition to 41 ECHL games for the Steelheads this season. In his rookie campaign, Naas has earned 20 points (11-9=20) in the ECHL. The 5-foot-11 winger from St. Louis Park, Minnesota made his AHL debut on Mar. 24, 2018 while skating with the Cleveland Monsters at the end of the 2017-18 season. In 12 AHL games, Nass recorded seven points (4-3=7) in his first professional action. The first-year pro logged four seasons at the University of Connecticut, missing just one game from 2014 to 2018. The two-time alternate captain produced 77 points (49-28=77) for his alma mater across 143 NCAA contests. The Texas Stars are the primary development affiliate of the NHL's Dallas Stars, and travel to Rockford for a Tuesday night matchup to end their four game road trip. Full-season, 24-game and 12-game ticket packages for the 2018-19 campaign are on sale now. For more information, call (512) GO-STARS (467-8277) or visit TexasStars.com.